Trey Morita made a voyage from his home in Silver Springs, Maryland, to a dealership in York, Pennsylvania, just to buy a Husqvarna 701 Supermoto. That’s how badly he wanted one. “I just dropped everything and went up there and got it the same day,” Morita told CNBC. For Husqvarna Motorcycles, the brand with a cult-like following in dirt bikes and supermotos, it’s a good problem to have. 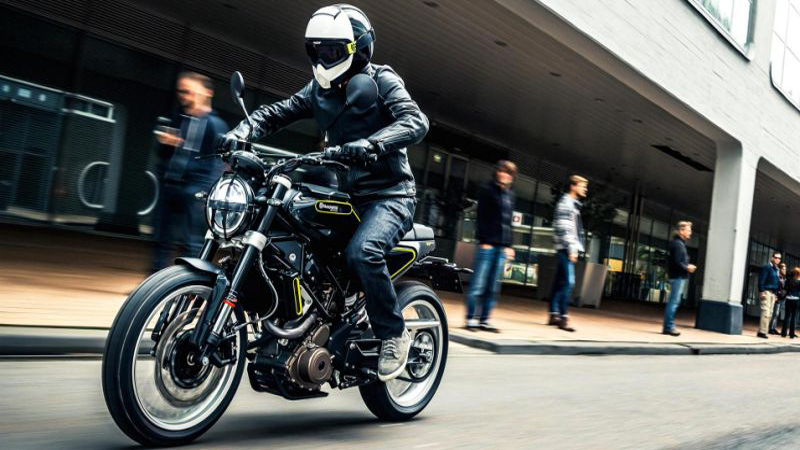 The company is driving right into the street motorcycle market this year, with plans to release three new street motorcycles: two different Vitpilen (701 and 401), and the Svartpilen 401. Prices start at $6,299 for the 401 series, and $11,999 for the larger engine 701. The company is owned by KTM AG, which manufactures motorcycles and sports cars. Husqvarna plans to release “a couple thousand” street motorcycles in North America this year, according to Blaine Schuttler, managing director for Husqvarna North America, in an attempt to position itself as a lifestyle brand. Schuttler said the company will add additional street models to its collection in the future. In March, the first batch of the motorcycles went on sale in Europe , Australia, New Zealand , Asia and select locations in India . All 200 Husqvarna dealerships in the US and Canada will have the bikes in April, as well as some locations in and around Mexico City. But it may still be hard to get your hands on one. Husqvarna recently oversold on dealer network orders for the first round of Vitpilen and Svartpilen bikes, according to Schuttler. He said the company has more street bikes arriving later this fall, and expects similar sales momentum. In fact, the new street motorcycles are just part of the company’s continued growth after changing ownership multiple times. Originally a musket manufacturer founded in Huskvarna, Sweden in the 1600s, the company began making motorcycles in 1903 — but the brand also adorns household products such as lawn mowers and chainsaws. Meanwhile, over the course of nearly three decades, the motorcycle division was flipped repeatedly between several owners that included Italian motorcycle manufacturer Cagiva and BMW , before being purchased by KTM AG. In a market where motor bike sales have been on the decline, the company released just over 12,000 motorcycles at retail in North America last year, and expects to produce closer to 15,000 retail this year. Globally, the company plans to manufacture about 45,000 motorcycles this year, compared with 40,000 last year. Husqvarna thinks the brand’s appeal lies in the combination of modern technology and sophisticated “naked” (or minimal) look of the bikes that appeal to millennials, a hotly coveted demographic that’s largely shunned motorcycles. Supermoto frames are also smaller and lighter than many other bikes, making them easy to maneuver around town. The new street bikes are no different. The Svartpilen and Vitpilen are both lightweight bikes, but have a more stylized aesthetic for city riding. All three bikes have single cylinder engines and include features such as anti-lock braking, fuel injection and traction control. The 701 has a shift mechanism that makes shifting up and down easier. The most powerful bike, the Vitpilen 701, comes with a 692.7 cc engine featuring 75 horsepower, while the 401s come with 375 cc engine and 43 horsepower. Dirt bikes, by contrast, have between 250 cc and 400 cc engines. So the Vitpilen and Svartpilen have the power of a traditional street motorcycle, in the body of something much lighter and easier to ride. The company hopes the new line will attract both seasoned and novice riders, including women. While Schuttler recognized that most of the popular Japanese motorcycles come in lighter versions and are thus more popular for city use, he said Husqvarnas intends to chart a different course from what iconic brands like Kawasaki , Yamaha may offering. “The styling of our motorcycle wouldn’t really appeal to someone that wants that big flashy sport-bike look. They’re not your Harley-Davidson-type consumer for sure,” he added.